A new kitchen splashback is one of the simplest ways to give your tired kitchen or bathroom a facelift. Splashbacks not only protect your walls from spills and splashes, they also contribute to the appearance of your kitchen. Range of colours/textures: What sort of look do you want your splashback to have? Does it need to be impressive, sleek or functional? Are you looking for bright statement colours and patterns or understated neutrals? Cleaning: Some splashbacks are easier to clean than others. In particular, metal splashbacks need to be cleaned using metal cleaner and tiled splashbacks can be prone to grout staining. Durability: What is the intended lifespan of the kitchen? Do you want highly durable materials, a fashion statement or a super-tough industrial feel? Cost: Kitchen splashbacks vary widely in cost, so make sure you are aware of your budget before choosing. 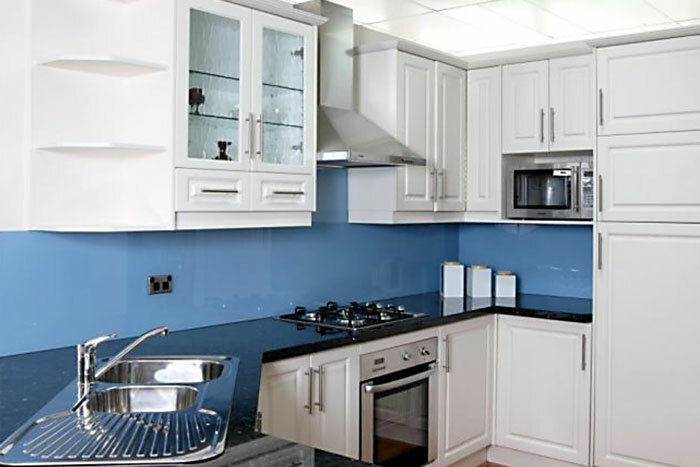 Tiled splashbacks: These are the most traditional type of splashback and are cost-effective and come in a huge variety of tile colours, sizes and patterns. 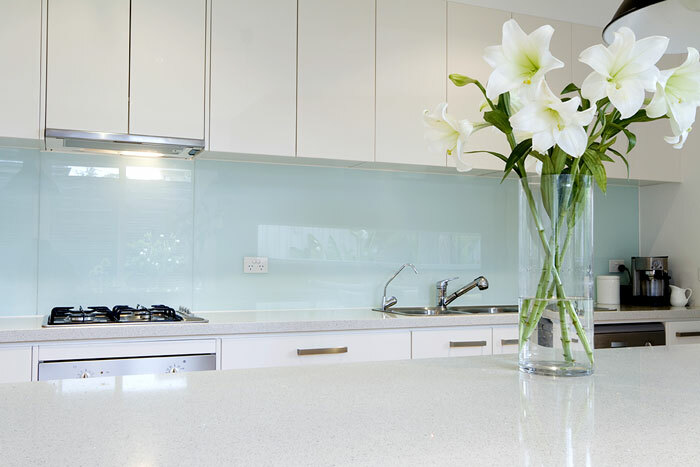 Toughened glass splashbacks: Growing in popularity, these sleek splashback are made of toughened safety glass. They’re heat and impact-resistance and will not crack. They can also include luminescent and ultra violet protective additives for greater impact. You can customise your glass splashback with personal photos and designs. Stainless steel: A hardy splashback option that won’t fade or discolour and will add an industrial feel to your kitchen. Stone splashbacks: For sophisticated style, stone splashbacks are a super-hardy and attractive option. Grandview Kitchens can supply and source a wide range of splashbacks – so you’ll be able to find the perfect fit for your dream kitchen. See what’s in our Gallery. It’s sure to give you some great ideas. Vibrant new kitchen splashbacks in modern, durable materials are a great way to create depth, light and a feeling of space in your kitchen. 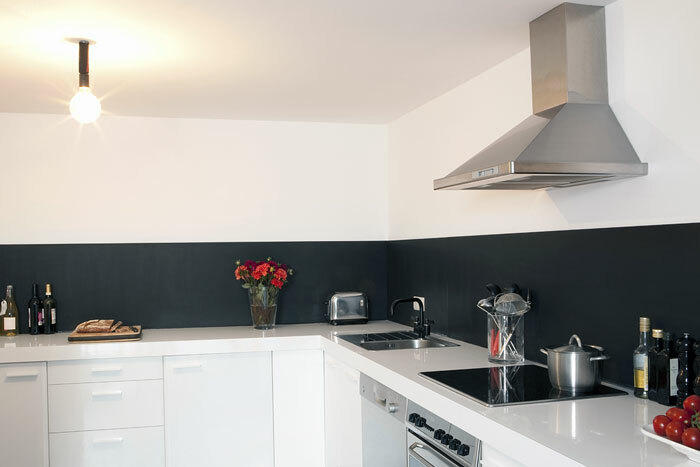 To see some splashback samples, just visit our kitchen showroom. If you’d like to see how new splashbacks can bring your kitchen to life, contact us at Grandview Kitchens for an obligation-free kitchen consultation.